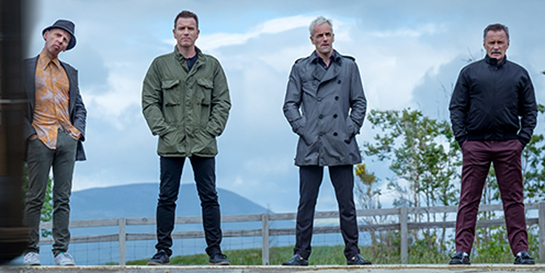 A huge buzz has surrounded the sequel to the iconic Trainspotting film, and its highly anticipated soundtrack, which were both released last week. The T2 – Trainspotting compilation, which features Queen, Blondie, The Clash, Wolf Alice and Fat White Family, has been at the centre of the conversation for many fans and critics. The album has entered the compilations chart at number three and is the fourth biggest-seller of the week overall. Fans have been taking to social media to praise it, and it has sparked good broadsheet reviews as well as an NME cover feature, including interviews with Fat White Family’s frontman Lias Saoudi and drummer Joel Amey from Wolf Alice as well as Rick Smith, who composed and produced the original music. The Guardian said the soundtrack “eschews cosy Cool Britannia nostalgia for something weirder and better”. On the radio side, there has been support from Lauren Laverne on 6 Music and Annie Mac on Radio 1 as well as Zane Lowe who applauded the album on his Beats 1 show this week, singling out The Prodigy’s remix of Iggy Pop’s Lust for Life.